Turquoise American Fireglass is a fantastic color and it performs perfectly. An excellent choice for firepits or fireplaces that adds a magical touch. 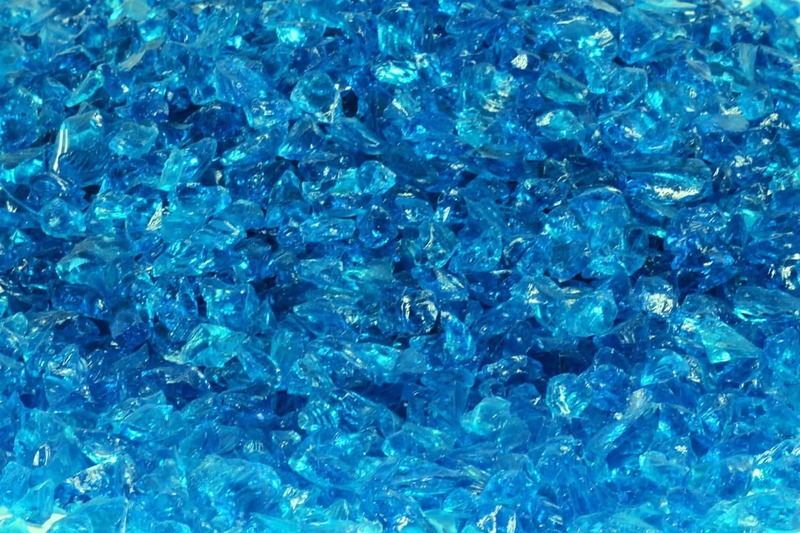 It is made from 100% recycled glass and a lifetime guarentee is offeed by American Fireglass. It is meant for outdoor use and is an excellent choice for outdoor parties and gatherings. Can be used in decorative fire features to provide light or on cool evenings for warmth. If you have never heard of or used fireglass before it is definitely worth trying it out. It increases color, vibrancy and reflection to create a very cool effect. 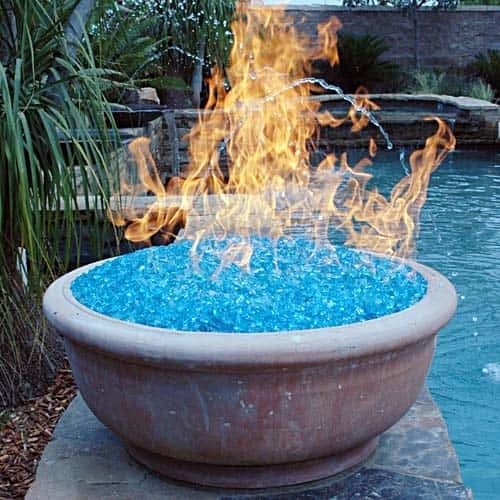 Below is an image of some fireglass in action.